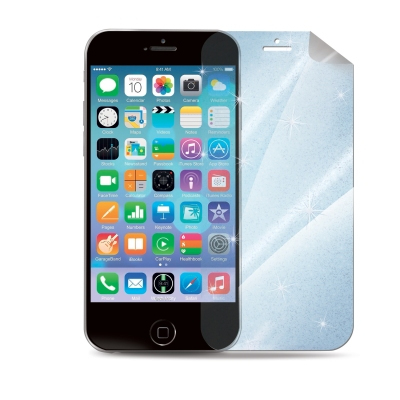 Glitty screen protector is the glittered fashion protection by GLAMme collection for iPhone 6 to protect the touchscreen display from scratches, dust and dirty. It's fashion and functional at the same time: the glittered finishing grants an original effect without any influence on the brightness of the diasplay. Soft card and cleaning cloth included. The screen perfectly fit with your smartphone ensuring an high transparency level. Protect your Apple with GLAMme collection.